The best known turn-based strategy game saga of all time has to be Civilization, which has been entertaining users all over the world since 1991 thanks to a very dynamic and complete game system, ideal for the enthusiasts of this genre. 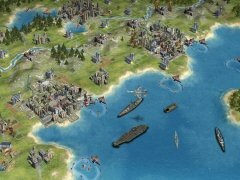 Civilization 4 is a revolution within this saga, because, as well as undergoing a facelift (thanks to its excellent graphics and an almost perfect setting) it also has totally renewed the game system, giving much more importance to the way that we manage our civilization. As well as the battles that we take part in against other empires, we'll also have to pay special attention to the education of the residents of our metropolis, religion and how our resources are used. Construction of an empire from scratch. Greater use of resources as the technological progress grows, which in turn is also associated to the philosophical evolution. 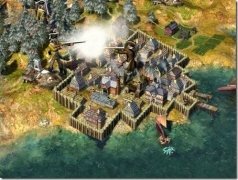 Cities as the productive centre of the empire. Improved multiplayer system and interface. Eighteen civilizations to choose from. Build your civilization from scratch and take control of the planet. If you want to try out one of the best turn-based strategy games around, don't hesitate and download Civilization 4. 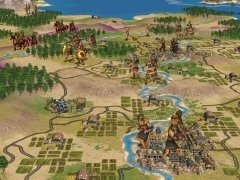 The demo allows you to enjoy a game during 100 turns with either the Greek, Roman, Indian or Inca empires.